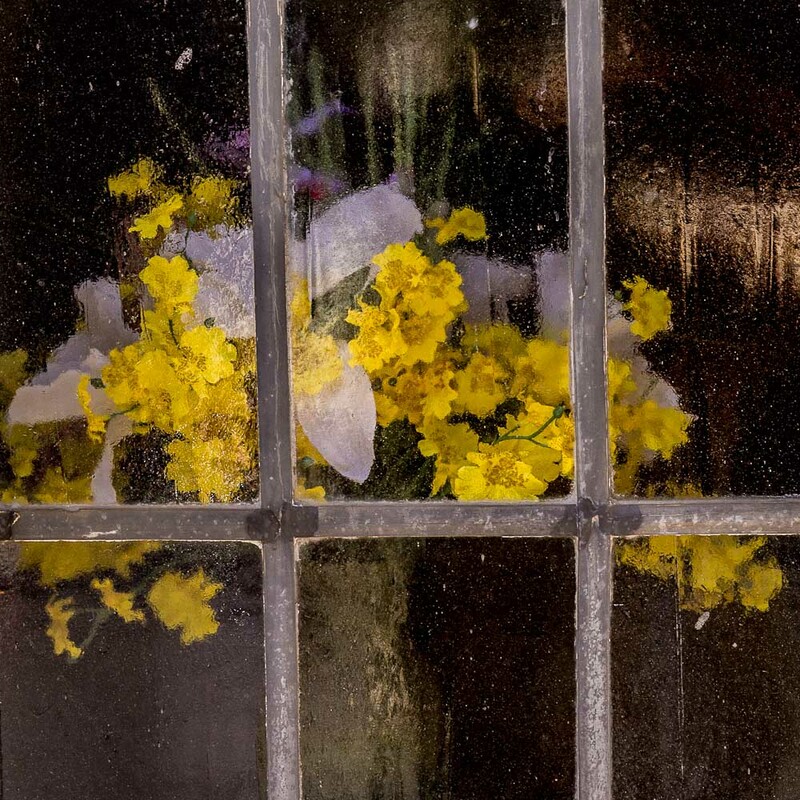 Artificial flowers behind this frosted-glass window make for an interesting image. I have taken and experimented with similar images before. I like to work with different ways to create a “new look” each time I see this sort of window-frame with somewhat recognizable objects behind the glass. To see more detail of the glass itself, click the photo to enlarge it. Like think this to be a great image. One thing I like is that it has impressionistic feel and number two it’s something I’ve seen but never photographed. Good wall hanger!! I love the ethereal feel I get from this picture.